The NovoDisc is a high quality LED luminaire that provides a lighting solution with substantial energy and maintenance savings, all contained within a stylish housing. The NovoDisc range of LED products can be used to replace traditional wall and ceiling mounted luminaires incorporating compact fluorescent lamps.The NovoDisc offers a simple switch and the process of selecting, installing and maintenance couldn’t be easier. Sensor OperationThe microwave sensor variants can be slave/master linked with the standard base model to allow multi-unit control. 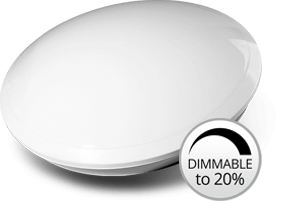 WIth internal and external models available the Light Planet range provides a good value, long-life, low energy LED choice for new and refurbishment projects.